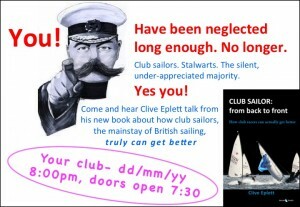 To accompany my book CLUB SAILOR: from back to front, I will be available to do talks to sailing clubs within an hour or two of Haslemere. So far they have gone down extremely well. Click here to enquire.